Sridevi Kolusu hailing from Veeravalli village in Krishna district in Andhra Pradesh, lost her husband to kidney failure. She single-handedly supported her two children by stitching clothes for other people. 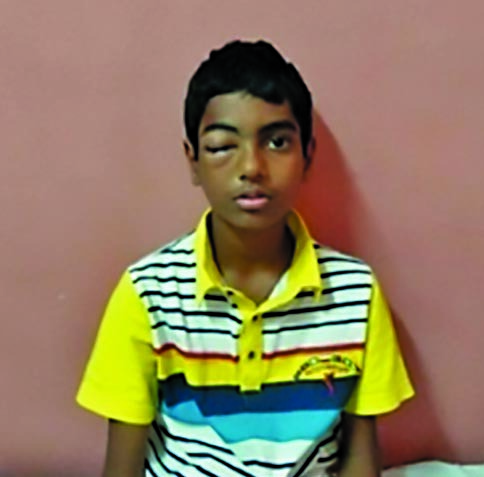 Things became even more difficult when her 12 year old son, Devicharan, started complaining of vision problem. The doctors at one of the locally renowned hospitals informed her that nothing could be done and he would have to live with it. 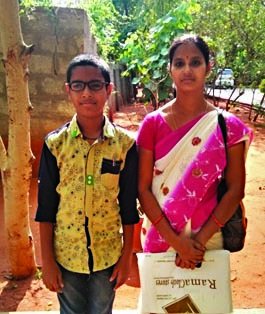 Owing to her bleak financial condition, and with a heavy heart, she put Devicharan in an orphanage, hoping that he would at least get the basic nutrition and education. 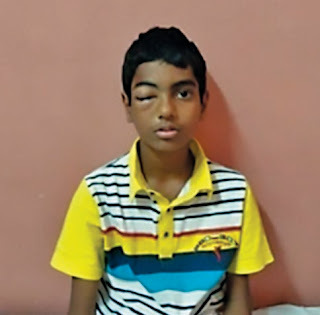 LVPEI, with support from Lions Club International Foundation, organized an eye screening program where Devicharan was identified and referred to LVPEI's Vijayawada campus. 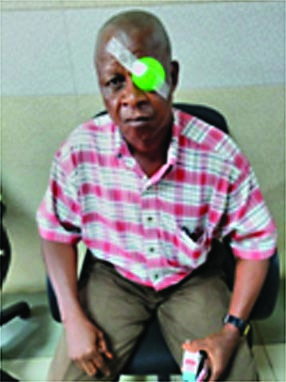 Diagnosed with a retinal eye problem, he underwent a surgery. He can now see, and it is heartening to see joy on his mother's face and her hope for a brighter future for Devicharan. “I owe my life to the institute for this huge help,” said the delighted Sridevi. 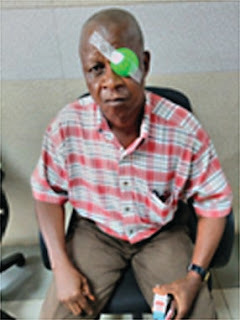 Mr Robert Jusu, 50, a truck driver was forced to give up driving because of his deteriorating vision. Samousa Keita, 34, faced constant ridicule because of the crossed eyes he had since birth. Florence, Elishe and Aminata were born with congenital cataract and their parents were worried about their future. 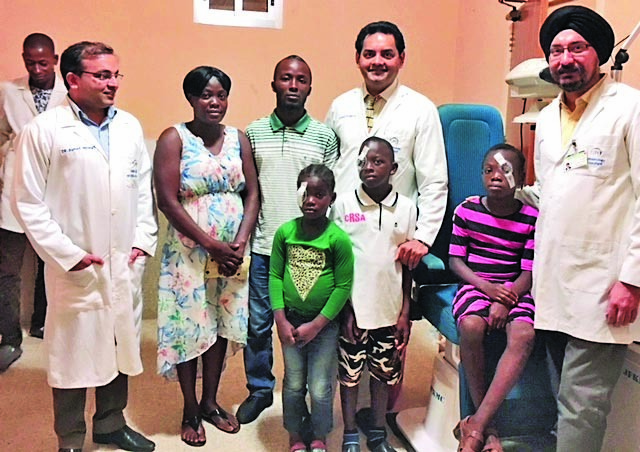 All of them successfully underwent advanced surgeries at the Liberia Eye Centre located in Monrovia. Robert believes that the eye is the most important gift in the world. He is extremely delighted to get his vision back and is looking forward to a more fulfilling career. Samousa, a social worker, cannot thank his doctor enough for correcting his squint, and pledges to bring more and more people to the centre who are in need of eye care. The parents of the three young kids, who were unable to see earlier, are elated that their little ones are no longer blinded for life. 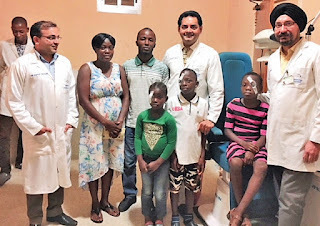 The happy smiles on the faces of these patients is ample reward for the visiting doctors from LVPEI in India who offer tertiary level eye care, and spread smiles in Liberia, Africa. There are many more such happy patients who receive quality eye care services every day at the centre that was inaugurated last year in July 2017. In addition to the permanent team deployed there, subspecialty doctors from LVPEI visit the centre on a periodic basis to treat complex cases. In the nine months since establishment, the centre has examined 6,495 outpatients and performed 478 surgeries.